Ruslan Martsinkiv from Svoboda party wins in the western city of Ivano-Frankivsk, according to calculated copies of protocols from polling stations in the mayor runoff elections. The Committee of Voters in Ukraine regional organization in Ivano-Frankivsk reports. 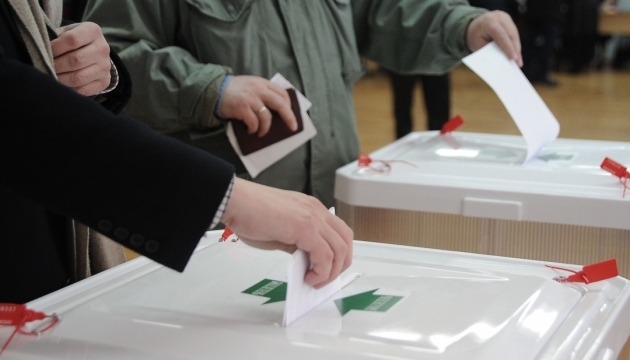 "On the basis of protocols copies for counting ballots in Ivano-Frankivsk it could be stated that Ruslan Martsinkiv received 54.82 percent of the votes while MP Ihor Nasalyk gained 42.26 percent of the votes," a statement said. A runner for mayor office in the southern port city of Mykolayiv Oleksandr Senkevych from Samopomich party defeated his opponent Ihor Dyatlov from Opposition bloc party in the runoff from the party by receiving almost 17,000 votes more than Dyatlov. A Ukrinform correspondent received information from headquarters of Samopomich party and it was confirmed by Opposition bloc party representatives.